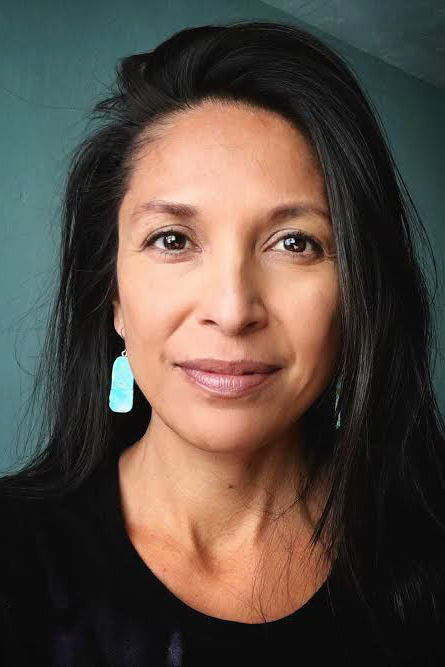 Janine Jackson interviewed Jenni Monet about indigenous journalism for the January 25, 2019, episode of CounterSpin. This is a lightly edited transcript. 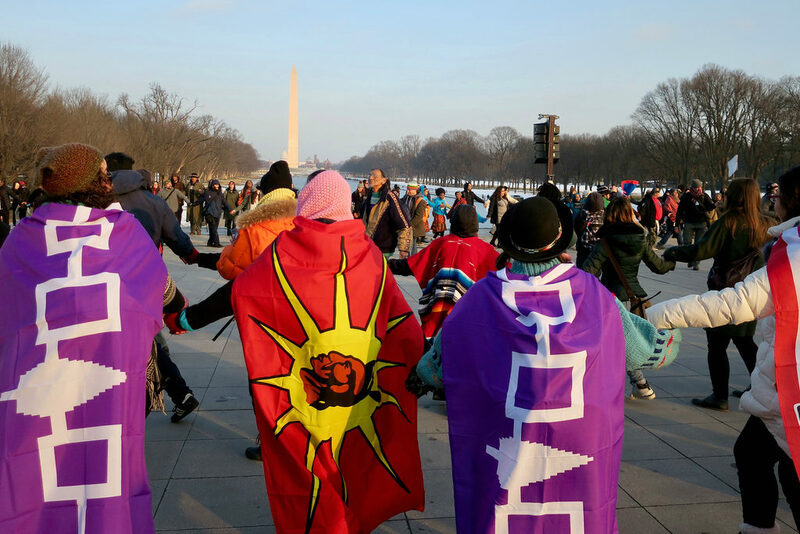 Janine Jackson: On January 18, thousands of people took part in the Indigenous Peoples March in Washington, DC, with solidarity marches in other places around the US and Canada. A political demonstration, including songs, dancing and prayers as well as speeches, the march sought to call attention to a range of issues affecting Native Americans, from environmental devastation to violence against women to healthcare to voter suppression. For corporate media, though, it somehow all became about the intervention of some Catholic school boys from Kentucky, and the video of that, and the other video of that. And now media are on to their favorite thing: coverage about the coverage. An opportunity to talk about the lives and rights of perhaps the most marginalized community in the country was passed over in favor of another round of self-involved chin-stroking. Indigenous people may be more visible for news media since the anti-pipeline protests at Standing Rock, since the election of the first indigenous women to Congress ever, but the quality of media’s attention is still problematic in many ways. Our next guest’s work fills some of the void they leave. Independent journalist Jenni Monet writes about indigenous rights and injustice for a range of publications. She joins us now by phone from somewhere in southern Texas. Welcome to CounterSpin, Jenni Monet. Jenni Monet: Thank you, Janine. That was a wonderful introduction into exactly what has been weighing on my mind over the past few days, so thank you for drawing some attention to this issue. JJ: Well, let’s get into it. I want to talk about some of the stories that you’ve been reporting, but I guess I wanted to start with your sense of the place of indigenous stories in the media landscape. You work with legacy media, and are happy, I assume, to have work in those influential spaces. But navigating those spaces as someone who is committed to getting out, not just indigenous stories, but an indigenous voice, is not necessarily straightforward. There’s more work than just the work of reporting itself. JM: Oftentimes, Janine, it is the hardest part of my job, the negotiation of working with decision-makers in elite newsrooms, and brokering for the indigenous narrative. It’s a delicate balance. These are my clients we’re talking about, and I need their support, I need their advocacy of my work, so that the legitimacy of the indigenous narrative is elevated in these elite spaces. And that really speaks to so much of what we’re talking about here. What’s happening right now with this story around Nathan Phillips and the Covington Catholic affair… you know, it’s the bad journalism itself that is stripping away at this very legitimacy, because for too long, the indigenous narrative has been steeped in what has been seen as “advocacy,” or even unreasonable ideas. But what we saw at Standing Rock is that once people actually stop and pay attention and listen, and engage these indigenous ideologies, it’s not that hard to understand. JJ: And as with other underrepresented groups, it’s not just a matter of media not doing stories about indigenous people, but of not seeing indigenous people in stories where they belong. I’m thinking about police brutality, for example: Native Americans face shocking rates of police violence. Or, as you’ve just reported, the government shutdown, which is having particular impacts in Indian Country, right? JM: That’s correct. I mean, there’s an actual lawsuit that just has been waged by a group of tribes against the federal government, and I’m just not seeing that headline produced anywhere. There was a deliberate pivot for me to leave commercial newsrooms and go independent, because advocating for the stories on the inside was seemingly futile. I only had one or two editors that I could pitch to, that would routinely shoot down these stories. And in large part, I felt like that was a routine undermining of my indigenous knowledge itself. And so on the outside, where people most often view freelancing as one of the more challenging obstacles in journalism, for me, that is certainly true, but now I can knock on several doors to try to sell these story ideas. But it’s exhausting, and there’s got to be a better way. The better way is that an elite publication—it is long overdue—for them to establish a tribal affairs beat on a national level, and that just doesn’t exist today. JJ: And when we talk about inclusion in media, sometimes there’s this sense, “Oh you’re black, so you want more black stories,” you know. But it’s really about journalism: When you leave people out of the story, you get the story wrong. JJ: So, for instance, writing about voter ID laws in North Dakota, and not connecting that, as you did, to the pipeline fight, that’s an example of a missed story that really—well, can you tell us a little bit about that? Because I don’t think that was anything people heard very much about. JM: Absolutely. So that story was one of the three that’s in a growing collection which I call the “indigenous version” of my colonized pieces. So when I publish in mainstream or established media, the process is somewhat painful for me, because there’s this negotiating of having to keep certain indigenous concepts or even historical timelines in there, and oftentimes I’m less successful in taking those stands. And so the indigenous versions of my pieces, which I post on my Medium page, are kind of the core concepts that I may have tried to fight for, but lost in the battle on the cutting room floor. 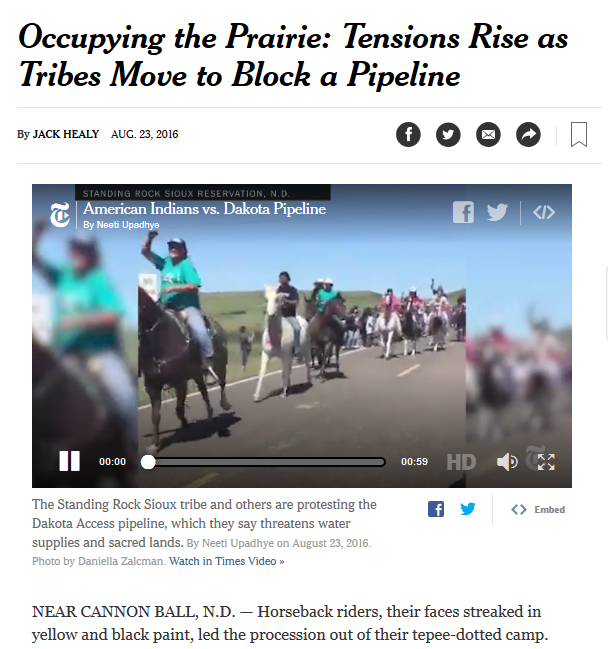 A story out of North Dakota and the voter ID law was central to that; the #DAPL battle was a huge part in that narrative; and if you recall, what was happening also in January 2017 was President Trump’s coming into office, and almost instantly advancing that pipeline after Obama had stalled it. And also in that legislative session, we saw a wave of anti-protest laws being considered in the North Dakota state legislature at the time, because of the #NoDAPL battle. So all of it is connected, and we were looking at strains of retaliation, because of this protest that rattled the state, and this was a reverberation of that, and that got really buried in the actual piece. JJ: Standing Rock and the #NoDAPL fight showed up some of the corporate media’s tired tropes. I remember a New York Times article that counterposed the company building the pipeline, calling it “a major step towards the US’s weaning itself off of foreign oil,” which…no. viewed the project as a wounding intrusion onto lands where generations of their ancestors hunted bison, gathered water and were born and buried, long before treaties and fences stamped a different order onto the Plains. JM: It’s a real dusty, tired way of looking at indigenous people, through a lens of the past. And if we’re going to talk about treaties, talk about treaties in the present day, because they’re living documents. Yeah, they may have been broken, but they still hold obligation by the federal government. That’s why federally recognized tribes have their sovereign status with their federal government. It is because of those treaties. To be sure, Native Americans, just defined by case law after case law, are political identities, if you really get down to it, and it is because of those treaties. JJ: You don’t really get a sense in the press that anyone really believes that tribal nations have any sovereignty worth acknowledging, that these are governments that we’re talking about. JM: Right. Because from a colonized view, they see that these tribes are wards of state, based on the constitutional language, and they would be right that sovereignty in Indian Country is somewhat quasi-sovereignty. Full sovereignty would mean that these tribal nations would be completely, 100 percent self-governed and solvent. And that’s just not the case. As we see right now in the government shutdown, there are several tribes in which 80 percent of their funding is linked to the federal government, when it comes to capacity and running infrastructure and education and other social service programs. But it is because of that constitutional agreement, and how these treaties were framed, that allowed for this kind of internal colonization to take place. And that’s a mutually binding agreement, and that’s the setup. That doesn’t mean that these tribal nations are any less sovereign because of their relationship with the government. It is unique, and it’s something that gets misconstrued and simplified, because it’s not written about enough. 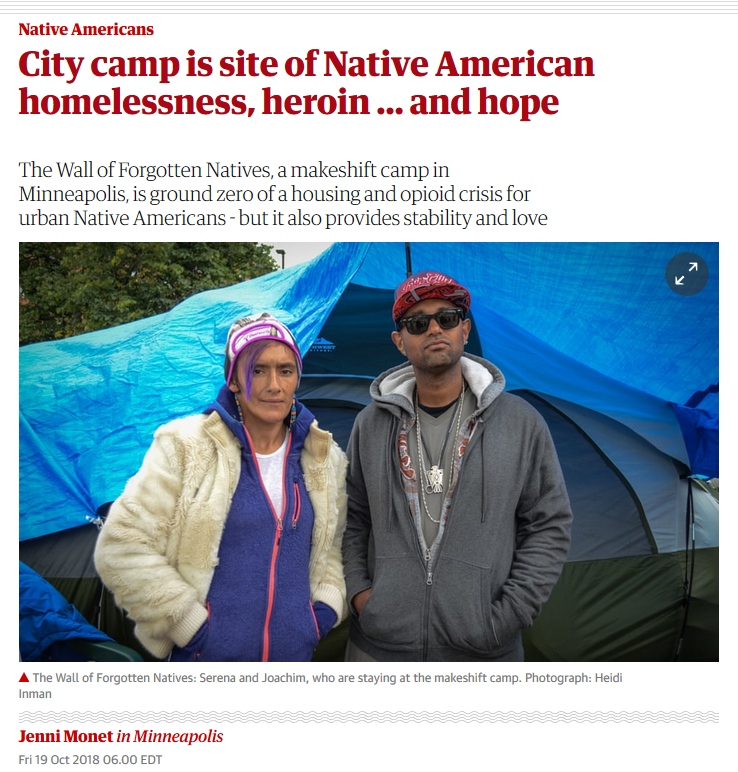 JJ: Your piece, “The Wall of Forgotten Natives,” that ran in the Guardian, about folks in an encampment near downtown Minneapolis—an extremely compelling piece, but it also, just picking up on what you’ve just said, it also pointed out what I think is another common problem of coverage, which is that media give you a sense that Native Americans all live on one place, all live on reservations…and that’s just not true. JM: ​Three-quarters of today’s Native Americans live in urban cities. When we do see stories in the established press, they’re most often stemmed from the reservation, they most often start with some kind of romantic notion of being in a foreign land. It’s treated as the work of foreign correspondents. But in fact, what we saw in the midterm election is that a lot of voter suppression laws and other obstacles around the vote were happening in border towns, where large native populations live. And that’s not something new to someone like me or anybody else in Indian Country. Oftentimes, what gets missed is what’s most obvious to Native people. JJ: Those efforts in North Dakota, in particular, at voter suppression, we should note that they failed spectacularly. In fact, there was a tremendous amount of voting, was there not, in Indian Country generally? JM: And particularly in the election of Ruth Anna Buffalo, who didn’t realize this at the time, but she beat out her opponent, who was the author of the voter suppression law in North Dakota. And Ruth Anna Buffalo is, I believe she’s Mandan, Hidatsa and Arikara Nation, which is a North Dakota tribe. So it was kind of a nice added detail to her victory. JJ: Yes, something karmic there. JJ: Another piece that you wrote for Medium, you were watching history being made, 230 years the Congress has had no indigenous women, until Deb Haaland​ and Sharice Davids.​ And just as you were absorbing that and thinking about what that means, you get a call to talk about not that. JM: Yes, I was so upset about that. Thank you so much for paying attention to these details, because I deal with it all the time. These producers, they’ll call and they want to talk about one story and I, fortunately—because I’ve worked in these newsrooms for 20 years, just roughly 20 years—not only do I know some of the people on the inside, but I also know how it works. You know, how the pitch works, and what they’re thinking and what they want. So I’m able to kind of persuade them to maybe switch topics. But the day that this producer called me, this cable news outlet, they wanted to talk about Elizabeth Warren, because she had just announced a bid for the presidency, and they wanted to build a panel that was representative across those views, but also bring in the Native American voice to discuss the controversy around her claims to Cherokee ancestry. And I have stayed out of the Elizabeth Warren debate; I feel like it is disingenuous to Native peoples and the indigenous narrative in general, simply because Elizabeth Warren has, just like we saw in the election of President Trump, she’s taking up a lot of the media resources, and doing very little in the way of returning that to indigenous people themselves. It’s highly problematic also, in that the day that I got the call for her to talk, it was the day that Deb Haaland and Sharice Davids were making history, were breaking the political glass ceiling in Congress, were walking in a place that Native women like them have never walked before. And I was very emotional over watching this historic moment happen when I got the call from the cable network producer, and I asked him to change course over the Elizabeth Warren story. And he declined. I mean, he was nice, it was a nice conversation, but I declined to go on the panel. The coverage of these women came two, three days later. I mean, why? JJ: You’re talking about people, like in this case, Warren and the DNA, taking outsized space in the media. And we know that reporters or editors may think, “Oh, we did a piece on the back and forth, and Trump calling her ‘Pocahontas,’ and, you know, we’re not going to do another Indian story this week.” You know, that can really take up that space. JM: Oh, we don’t have to do another Indian Country story this month! JM: If it’s just going to be me being interviewed, I think you have a lot more leeway to kind of guide the conversation in the way that one would want, regardless of the topic. But this was a panel; they were going to have other people there, and the opportunity to sway the conversation was just going to be very difficult. But there’s often times where I’m able to, because I understand that the focus on Indian Country is so rare, that when you do get these opportunities, you understand that there are certain points to make in that time and space. That was the case around the North Dakota voter ID law, because what was also happening at the time were a lot of really intense legal battles that are still making their way through the courts. But we were starting to see some decisions coming down that were really damaging to tribal sovereignty. The Indian Child Welfare Act case, where a Texas district court judge determined that the Indian Child Welfare Act, which is intended to keep Native children with Native families, was a race-based policy, and he shot it down. He basically took what 30 years of case law has done to embolden Native families to keep the sovereignty together, and reduced Native Americans to races. And after you recall what I just said, there’s plenty of case law that shows that Native people are political identities; Native people, just based on their sovereignty alone, are the only racial group in American that have this burden of proof to prove their ethnicity. And that’s what separates them as political identities. And this one judge has challenged that. And so that’s under appeal right now. But there were other cases that were happening too, the Wampanoag and their very federal recognition being threatened by the loss of their land. And so when I went on the air to talk about the Voter ID law, you try to use those opportunities as well to just talk about how the courts in general have this huge disconnect from the realities on the ground in Indian Country, and how that really impacts a lot of things. And it’s just an opportunity to try to just shine as much of the light as you can in these very rare spaces that get exposure on Indian Country. JJ: Talking about Standing Rock, Mark Trahant, who’s now at Indian Country Today, said, “This is a fight about story and who gets to tell it.” In a way, I guess we could say that about every issue. What needs to change? Is it changing? JM: What needs to change, to be quite honest, is that there needs to be some very committed research, audience research, analysis, business planning, and there needs to be a business model on why indigenous media is not working here in the United States. When you look at other colonized countries—major countries like Australia, New Zealand and Canada—indigenous media is solvent. It’s representative. It’s remarkable that it is so undervalued and absent in America. And I want to know why. And sure enough, the assets were given to the National Congress of American Indians, which is considered a lead advocacy organization in Indian Country, and that’s highly problematic. Because, as I mentioned before, the indigenous narrative suffers from being seen as nothing but advocacy. And here, the major brand, Indian Country Today, that even people who don’t know anything about Indian Country go to this news platform, and think that it’s a legitimate news source. Whereas people who are on the inside view it as highly censored, to be frank. There’s just not been the kind of due diligence to earnestly research how an indigenous media model could function in America, and that needs to happen. JJ: It reminds me a little bit of union papers where, because they feel that unions are so beleaguered and under such attack, there’s maybe not the desire to be as critical and as searching internally as they might be. It’s seen as basically a sort of a defensive measure. JM: Mmm-mm. I mean, the majority of media in Indian Country today is censored. It’s owned by tribal governments, or it’s owned by advocacy organizations. And that helps nobody. If we want to hide behind the fact that we don’t want to ruffle feathers in our tribal communities…. We’ve been doing that, and look at the results. So I think there’s a real immediate need for some bravery and some courage and to really kind of push back, push back in ways that we’ve not seen. 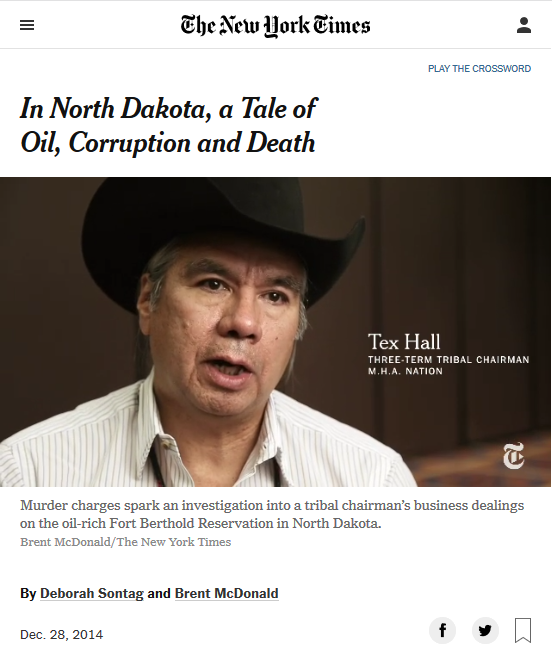 Because what we do know is when an investment is made to do hard investigative reporting in Indian Country, say, for instance, the New York Times did an excellent piece in 2014 over an investigation into who was then the tribal chairman, Tex Hall, of the Mandan, Hidatsa and Arikara Nation in North Dakota. It was one of the best pieces, that, in my view, has come from Indian Country, because it revealed. It revealed a lot of corruption that was going on and existing in the tribe. And from my understanding and knowing the back story, the industry nuts and bolts of what happened, their factchecking was one of the most rigorous in the Times‘ history on that piece. And that’s why it held up, it’s so good. And so there really needs to be a real investment, and I think that if you have nonprofit organizations or philanthropy types that listen in: really think about where the money is going, in terms of supporting journalism, and how it’s being used. Because I think that, all too often, people just don’t know enough about Indian Country, so they just give, and they don’t know what they’re giving to. JJ: Do you have any final thoughts, Jenni Monet, about “reporting while indigenous,” if you want to put it that way, and ideas for reporters to pick up on, stories that you’d like folks to dig into? JM: Well, it’s a real calling to do this, and I feel like it’s a higher calling, because indigenous journalism is different than what I call “settler storytelling,” because the view is about colonization. And the colonization is not something in the past. It’s a continuing narrative. And that kind of view, of rethinking time and space, it has the power of real enlightenment. We certainly saw people latching onto that at Standing Rock. That’s what I see as the power the indigenous narrative holds. It’s this power to really shift people’s societal views in ways that we’ve not even really explored. JJ: We’ve been speaking with Jenni Monet. You can find some of her work on her website, JenniMonet.com. Jenni Monet, thank you so much for joining us this week on CounterSpin. JM: ​Thank you so much.